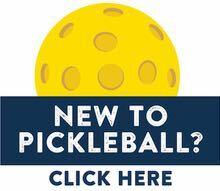 Our Current Playing Calendar lists the venues, days and times people are playing Pickleball in the area. Balls and loaner paddles will be available for players at each of these listings. See you on the court. NOTE: Recreation centers are usually closed on major holidays (and during inclement weather). Outdoor public courts are open for play (weather permitting). And if it’s colder than 50 degrees, then most players will likely stay home rather than play outdoors.